are the perfect way to explore Amsterdam with friends and family. 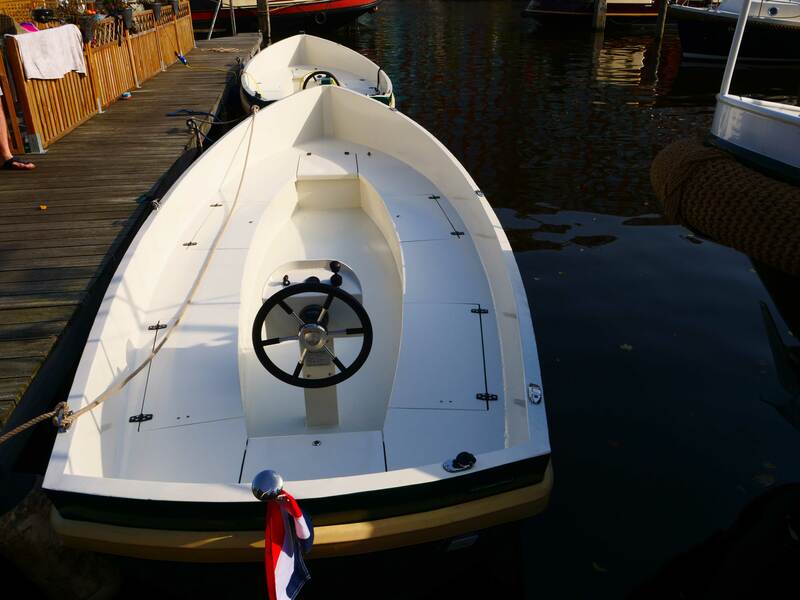 Ecoboats has brand-new boats, built in September 2017, with the newest technical advances and best material. Besides our high-quality boats and services, our location is ideal for all means of transportation. Whether you’re traveling by car, bike, or scooter, we have enough parking space for everyone. Our location is also perfectly reachable by public transportion, as bus- and tramstops are just a short walk from Ecoboats Amsterdam. And last but nog least, we have a cafe-restaurant in which you can enjoy delicious meals and lovely drinks before or after your day of fun on your Ecoboat. After having worked for similar companies for years, we decided to get our own permit and combine all our knowledge to create the perfect boat. Needless to say, we are proud of the result. <h2>Zit en opbergruimte</h2> <p>Wij zijn er zeker van dat alle mensen die bij ons komen varen het hier mee eens zullen zijn, wij hebben erg gelet op de zitruimte en opbergruimte, die zijn ingedeeld voor maximale benutting. </p> <h2>Het stuur</h2> <p>Ook is er veel werk gegaan in het stuur en de draaicirkel om die zo optimaal mogelijk te krijgen. </p> <h2>Power</h2> <p>De power die de Eco boats hebben bij het optrekken en afremmen zijn zo ingesteld dat het ver binnen de norm blijft en zo zijn de Eco boats precies geworden zoals wij het voor ogen hebben gehad. When in the neighborhood and looking for a boat to rent, don’t look any further. Is it possible to rent a boat during holidays and events? Do I need a navigation license? No, the only requirement is that the skipper is 18+. How many people fit on the boat? A maximum of 12 people is allowed. Do you provide services for work or family trips? Certainly! We organize great trips for families or work teams, including scavenger hunts and catering. Contact us for more information on these organized trips. Can we play music on the boat? To respect the peace of the local inhabitants, it is not allowed to play amplified music on the boat. Are the navigation routes available on the boat?